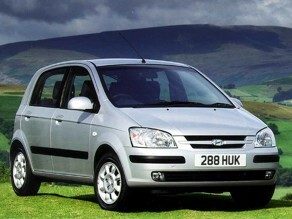 Hyundai Getz (2002-2008) - Car Reliability Index | Reliability Index | How reliable is your car? If you can look beyond the Hyundai badge, the Getz has a huge amount to offer. Sure the cabin is plasticky and fairly basic, but you get everything you need and the cars are generally extremely strong. They're practical too and phenomenal value for money thanks to the hefty depreciation over the first couple of years - this isn't a car to purchase new then sell on quickly, but it makes perfect sense as a cheap used buy. 10/02 Getz is introduced with a choice of 1.1, 1.3 or 1.6-litre petrol engines. There's a choice of CDX or GSi trims and three or five doors. There's also a 1.6 Sport. 1/04 A 1.5-litre turbodiesel three-cylinder engine is now available. 2/04 The 1.3 Sport joins the range. 10/05 Range gets a facelift with revised nose and refreshed interior. The 1.1 petrol engine is revised while there are all-new 1.4 petrol and 1.5 turbodiesel powerplants. Interior plastics aren't the best, so check everything is intact. Brake discs and pads often wear out in under 30,000 miles, so check if they've already been replaced. Poor fuel economy can afflict 1.3-litre cars, but don't rely on the trip computer for calculations, as this can be highly inaccurate. Tyres can wear out very quickly, especially at the front and particularly where diesel models are concerned. The diesel is frugal on a run, but economy quickly dips to little more than 40mpg in urban use.